Sports Rendezvous: Tottenham boss Pochettino fluffs his Real Madrid audition as Allegri boosts his Chelsea chances. Tottenham boss Pochettino fluffs his Real Madrid audition as Allegri boosts his Chelsea chances. 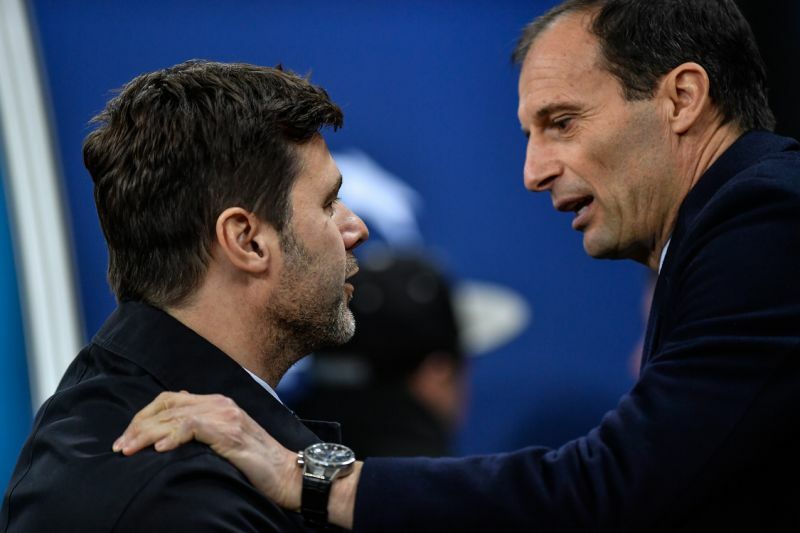 n three minutes Tottenham’s Champions League hopes died against Juventus and with it, potentially, Mauricio Pochettino’s chances of being the next Real Madrid boss. Not that there was much else he could have done. His Spurs side dominated their illustrious Italian opponents; getting in 23 shots on Gigi Buffon’s goal compared to Juve’s nine. On any other night they’d have won comfortably and progressed through to the quarter-finals (see November’s 3-1 group stage win over Real) but three minutes of madness dumped them out. Defensive lapses from Kieran Trippier and Davinson Sanchez allowed Gonzalo Higuain and Paulo Dybala to prod home two goals that turned the tie on its head, despite the Italian spending most of the game under the cosh. Harry Kane, so normally reliable to conjure a goal out of nowhere when Spurs need them most, saw a slow header bounce back off Buffon’s post and sit painfully on the goalline before being hooked clear in the final minute.